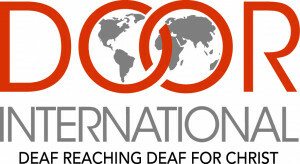 DOOR International aspires to reach the 70 million Deaf people worldwide for Christ. Less than 2% of the global Deaf population knows Jesus as Savior, making them one of the world’s largest unreached and unengaged people groups. DOOR International is a Deaf-led TRAINING and TRANSLATION ministry. We TRANSLATE the Bible into sign languages so we can TRAIN Deaf missionaries to share the Gospel and plant Deaf-led churches. Check out the stories below to see how God is working through DOOR to reach the Deaf for Christ!